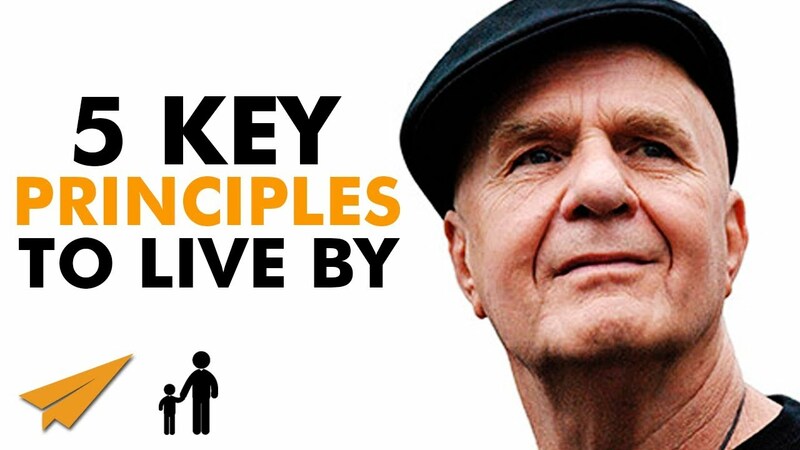 ✎ In today’s #MentorMe video, learn about Wayne Dyer’s 5 key principles to live your life by! ✎ He spent much of his first ten years in an orphanage on the east side of Detroit. He served in the United States Navy from 1958 to 1962. He worked as a professor of counseling psychology at St. John’s University in New York City. He pursued an academic career, published in journals, and established a private therapy practice. His lectures at St. John’s, which focused on positive thinking and motivational speaking techniques, attracted many students. A literary agent persuaded Dyer to document his theories in his first book, called Your Erroneous Zones (1976). Although Dyer initially resisted the spiritual tag, by the 1990s he had altered his message to include more components of spirituality. After Your Erroneous Zones, dozens of more books followed, many of them also best-sellers. He built on his success with lecture tours, a series of audiotapes, PBS programs, and regular publication of new books. His message resonated with many in the New Thought Movement and beyond.